There are two real growth areas in the world of wristwatches: the first is the rise of the Kickstarter microbrand; the second is the movement – spurned by the likes of SevenFriday – towards originality in wristwatch design. 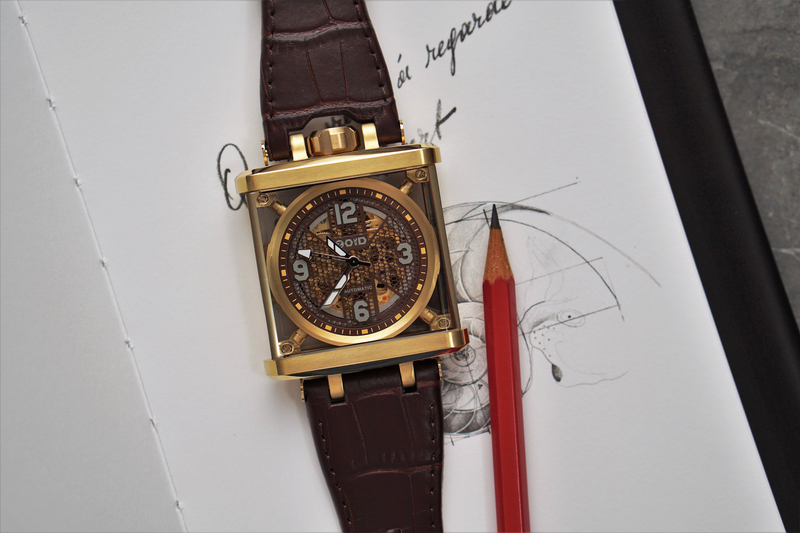 The ZOID Mastermind is the latest watch to try to combine both worlds. The first thing we thought when we saw the ZOID Mastermind was “well, that looks different” – and indeed the fledgeling company has decided to go far away from the usual tropes of “dive watch with black bezel” or “quartz chronograph with a motor-racing feel”. AT first glance you’d wonder if this was a wristwatch at all! On closer inspection, you notice some familiar styling cues. Coloured bars that are reminiscent of the pusher on the Omega Ploprof. A 12 O’Clock crown. The circular face suspended in a transparent square case is reminiscent of the TAG Heuer Monaco Gulf. 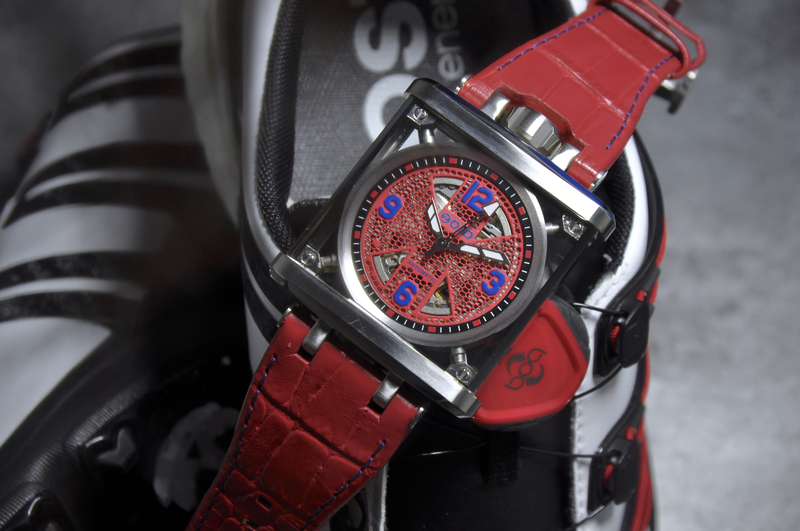 And that honeycomb patterned dial is very “SevenFriday” in its execution. If you can get past its marmite looks, the next question on your lips is going to be what’s inside the ZOID Mastermind? The company has gone for the trusted Seiko NH70 automatic movement, so they get plenty of watch-geek points for that. The straps are Italian leather and everything else is made of brushed 316L stainless steel. Case size is 48mmx42mmx9mm thick. We think that could be larger than all but the biggest wristed wearers will be comfortable with, but we’ll reserve judgement until we can actually try one on for size. We felt the same way about the ultra-large Panerai cases until we tried them on so it may well curve pleasantly into the wrist. Where can I buy a ZOID Mastermind? The Kickstarter for the ZOID Mastermind goes live today and will be shipped in the summer. Pricing will be $420 USD for the preorders, and $715 USD thereafter. We’ve been promised a loan watch for a Week on the Wrist feature so watch this space for more! Find out more at the ZOID website, Facebook and Instagram. The Kickstarter page is at this link.